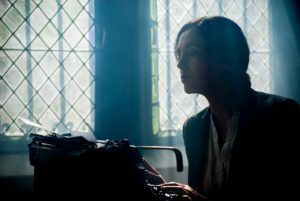 There’s a joke question: What makes a writer? But yes, it’s really that simple. You become a writer by writing, the same way you become a trombone player by playing the trombone (tromboning?). One word after another, you pile them up until they are poems, flash fiction, short stories, novellas, novels, epics, serials…. you get the point. At first, your authorial attempts are horrible. Looking at early work can pretty much make you cringe. You only grow by writing and reading and trying to understand your craft, and then doing it all over again. I have played around with writing since I was quite small. As long as I can recall, I would write things. In school, Creative Writing was my favorite subject. I even attempted a couple of novels by the time I was in my first try at college (it took 3 attempts before I got my B.A. in my thirties). But I never finished them. Like many people, I am great at starting stuff, not always so great at finishing. The first novel I finished was for my Senior thesis (in the year I actually got my degree). It was called, “The Better Angels of Our Nature.” It was very earnest and very much about Baltimore. It got me a good grade, but I never even thought about trying to get it published. I was too busy trying to earn a living. But an idea I had during a history class started me thinking one day, and before I knew it, I’d written 10,000+ words. Huh, I thought. This might be something. I kept at it, every day. I am a terribly slow writer, sometimes only eeking out 500 words a day. But in the end, day after day, word after word, I finished the novel: CAPTAIN MARY, BUCCANEER in 1999. Eventually, I decided to publish it myself, which led to starting a publishing company, which led to a book distribution company…. but no fiction writing*. I was too busy. Oh, I started several stories, but they fell apart after a while, mostly because I was too occupied with selling books to write them. But then the economic collapse of 2008 occurred. We closed the distribution business. Then I got sick and was a long time getting better. When I got to the other side of that, I thought, What do I really want out of life? Okey-doke. What will I write? I dinked around with this idea, and that idea. But then I thought, why not write one of my dream starters? I have a very active brain at night. The way I’ve taught it to shut down is by creating “dream starters”: that is, stories that I’ve concocted and go over in my head most nights (I choose from about 10). They are so well-worn that I only last a few minutes before drifting off. I had one story about a woman who was a priestess/healer in King Arthur’s time. She becomes lover of both, and bears their sons, only to lose them and have to continue on for some reason, for some greater purpose. Yes, OK, basically MISTS OF AVALON fan-fic. So I sat down in 2014 and wrote that. Much to my surprise, I had the bulk of the story—then called “Anya’s Legacy”—down in 6 weeks. A record for me! I rewrote it about 4 times. But it lacked a certain… zip. So, just for giggles, I wrote a frame tale—a story set in the near future when the heirs of King Arthur, Merlin, and Anya are called upon to complete their mission. It wasn’t much, just 6 chapters—the beginning, the end, and 4 chapters sprinkled in the middle of the story. Feeling fairly proud of myself, I sent it to three beta readers. After harumphing and galluphing around my office for a few weeks, I realized they were right. Even I wanted to know what was going on with the heirs. So I sat down to write that story. It took almost 2 years, and at least 2 more beleaguered beta readers, but finally, I felt good about what became THE MIDSUMMER WIFE. I started sending that around to agents and publishing houses. I will be re-releasing those in anticipation of THE MIDSUMMER WIFE’s debut in February by Vagabondage Press. Somewhere in there, I also started playing around with the next books in the series—since much to my surprise, I was writing one (I certainly didn’t start out to). So mid-2016, I started Book 2 of THE HEIRS TO CAMELOT: THE SOLSTICE BRIDE. I really hit the wall back in November ‘16. I could not get back to it… until March of this year. Then I was able to bring it all together. I will be sending it out to beta-readers in the next few weeks. No doubt what I think is nifty now will be shown to be… well, less than wonderful. But that’s part of writing. I’m also starting to plot out Book 3 of THE HEIRS TO CAMELOT: MISTRESS OF THE ROSE MOON. I’m also dinking away on a humor graphic novel. So, much to my surprise, I have written 3 books in total in 4 years, after not having written any fiction in 15 years!